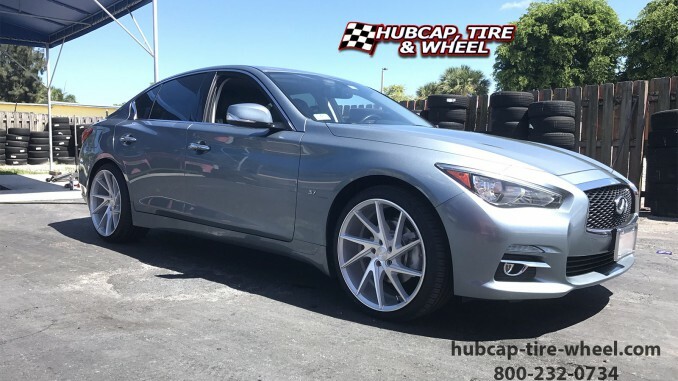 Take a look at our customer’s 2014 Infiniti Q50 with 20″ Niche M162 Invert silver and machined rims with a staggered setup. The car came out great. It definitely gives that custom look without being over the top. When this car comes driving past people they are going to turn their heads to say and wonder what they just saw and how to get the wheels on the car. If you’re wondering what staggered setup means, it’s really simple. That just means that the rear wheels/tires are wider than the front wheels/tires. You will commonly see that on rear wheel drive cars so that the rear wheels have a little extra surface area to gain traction. The Niche M162 offers staggered sizes for you to choose from. 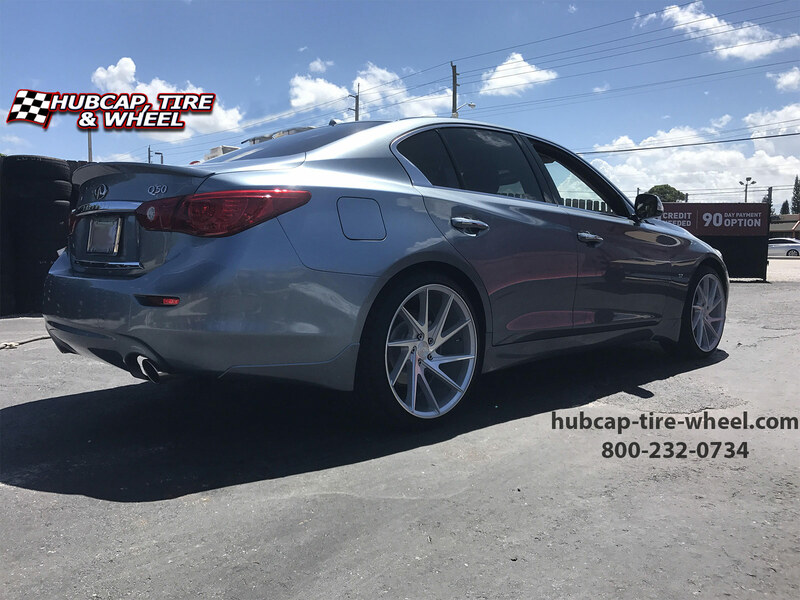 If you’re interested in these wheels or any other wheels that our site offers please don’t hesitate to call us at 800-232-0734. 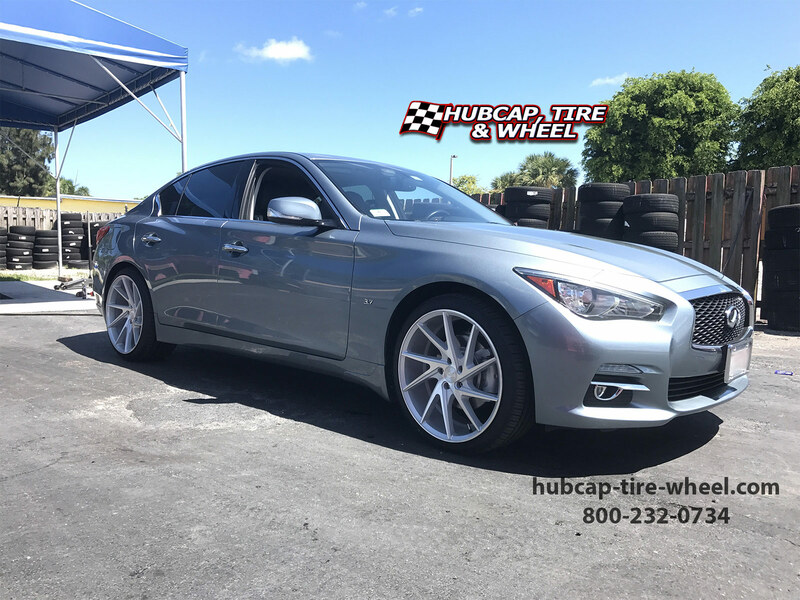 We have awesome wheel and tire specialists that want to help you out. They have a ton of experience and they just enjoy talking about cars and trucks and the set up you’re looking for. They are just all around car guys. They want you to make sure you get exactly what you want without having to worry about fitment. Let us do all the worrying about fitment. We even have a fitment guarantee or your money back so you know you are getting exactly what you buy. We also have shipping warehouses located all over the U.S. so you get the fastest possible shipment. If you call us after business hours and we don’t answer, go to our main web site and click the “Contact Us” button found at the top of every page and we will get back with you as soon as we possibly can.